I’ve been waiting for this time on Earth, when our planet is being bombarded with the highest frequencies of light and we are all being pushed to rise, each in our own way. And so, now, it is time for me to support much larger numbers of people all over the world than I have already done in the last quarter of a century. Come join a Conscious Community I have been called to create and build with you now, one that will help transform our world, firstly through our own evolvement, and then, through whatever we are prompted to do, both individually and collectively! TIME FOR TRUE TRANSFORMATION. TIME TO THRIVE! The world needs you; and your flourishing in all areas of your life means a great deal to me. And, so, I am here to serve you, the best I can, with all my many years and lifetimes of experience and expertise. With all the soul gifts I have garnered and the skills I have honed, coaching thousands of people of all ages, from all walks of life, all over the world…. Every week, you will receive a detailed guidance from me that gives you the practical, uplifting and encouraging support that will be most useful to you, during these exciting times that challenge us at all levels – physically, emotionally, mentally, spiritually, and oftentimes, financially as well. I write from my Soul and Vastness or Consciousness itself, and it will give you the comfort and the courage you/we all need to travel through these times, the wisdom to rise and be all that you are and that you are here to do. It will ignite or/and greatly expand the Light in you; pave the way for your own Soul to FULLY lead you and your life. Each week’s written guidance remains online for that whole week, until replaced by the new one. In addition, I will conduct a 90min group coaching session every month to support you through whatever challenges you are experiencing. I will speak, answer questions and work with one person per session, and the whole group will benefit as well. Members who cannot attend, will be able to access the recording on my website, for an entire month. Time to Rise & Lead! To be part of a lovingly powerful Conscious Community that will make a massive difference! It’s time for all of us to step up to another level altogether and lead, and so, I am both thrilled and honoured to offer you this membership program of Weekly Written Guidance and Monthly Online Group Coaching Sessions, which will expand your Light and support you to be your True Greatness, and consciously create and enjoy the life you want. You will also be able to enjoy being part of a lovingly powerful Conscious Community that will make a massive difference in helping transform our world together, as you rise individually and we grow collectively! It would be both comforting and encouraging for all of us to walk each other Home. We will be able to connect, both in our Online Monthly Group Sessions and on “Transforming People Worldwide”, our Facebook Page: https://www.facebook.com/transformingpeopleworldwide/ . I very much look forward to welcoming you to your being part of our Conscious Community and “The Journey Home”, our Lee Heiss Coaching Membership Program , which you can join on a quarterly or yearly basis. AMAZING CALL "That was an amazing call last night Helen, I learnt so much, and was able to release so much. Very grateful… much love…"
WONDERFULLY LIFE CHANGING "My experience in Helen’s program has been wonderfully life changing. Through her guidance, I’ve been able to move forward in areas of my life that have always felt blocked. A sense of peace, joy and understanding now flows more freely. Really feels like a gift. Thank YOU Helen!!!" AMAZING BENEFITS... MANIFESTING IS SUPER SIMPLE WITH HELEN’S GUIDANCE "I have shared with lots of family and friends, the amazing benefits I have enjoyed from my sessions with Helen Lee. Manifesting what I truly need and want is super simple with her guidance…you can gain too." FELT SO LIGHT & SO CALM "I attended Helen’s program last Thursday and when it was over I felt so light and so calm. Slept like a baby that night. The next day my mind was flooded with past memories, emotions and situations for me to release. Helen is powerful and amazing. I am so grateful to her…." FELT LOVE I HAVE NEVER FELT BEFORE "Thank you so much, it was soooooo beautiful. I felt things that I have never felt before. I felt love that I have never felt before. I felt darkness I have never felt before, even though I lived with it for so long. And now, I feel SO joyful and SO peaceful, and also SO relieved. It’s amazing!" And the next day, she reiterated all of the above regarding the love and the joy, in a message which also informed me: "I couldn’t believe how much lighter I felt, walking down the street. In 56 years, I have never felt like that! My inner child is very happy!!" IT WAS A MIRACLE TO ME "Thank you Helen, I am grateful to learn from you yesterday. It was a miracle to me as releasing of the fear of the unknown and rejection allows me to feel great joy and love from my Soul Self and Vastness." YOU ARE SO AMAZING… GOD WALKED BY & OFFERED ME A GIFT OF GOLD & I ACCEPTED "Helen, you are so amazing. The shifts have been enormous. I woke up early because of more releasing and that which I am releasing, after only one session in a group, would have taken months with another healer. I was given an enormous gift – your work – and your wisdom, which is off the charts. I am in awe of your ability. I look forward to the time when I can commit to working with you fully and then whew, beyond my dreams! Love, love, love, and enormous gratitude to you… God just walked by and offered me a gift of gold and I accepted. I also now see that I can enjoy my life…do you know what a gift that is?! Thank you, Helen!" Charlotte, New York, New York, U.S.A. VERY POWERFUL CALLS "Thank you Helen for the call last night. Very powerful. One of the many things that came up last night was the place of being nice to people and stuffing my feelings and there was some very good feedback to this. I see clearly a situation this morning and I have been the polite person I was conditioned to be. It is time for me to stand up, be centred and in love to address this. Thank you. The calls have been very powerful and I appreciate you Helen who has believed in me and loved me when I could not do that for myself. Love to you and to everyone!" SO INSPIRING & REMARKABLE "OMG, it was so inspiring and remarkable!! Much love dear Helen, amazing info should’ve taken notes!! Very grateful!!" FOCUSED ON GIVING BACK NOW "Thank you for inviting me to participate in your preview yesterday. I still remember attending a workshop in 2005, when we were taught to use the Golden Globe, and I think I even gave a testimonial during one of your free talks after that. Everything is working so well in my life now and I am currently focused on giving back." 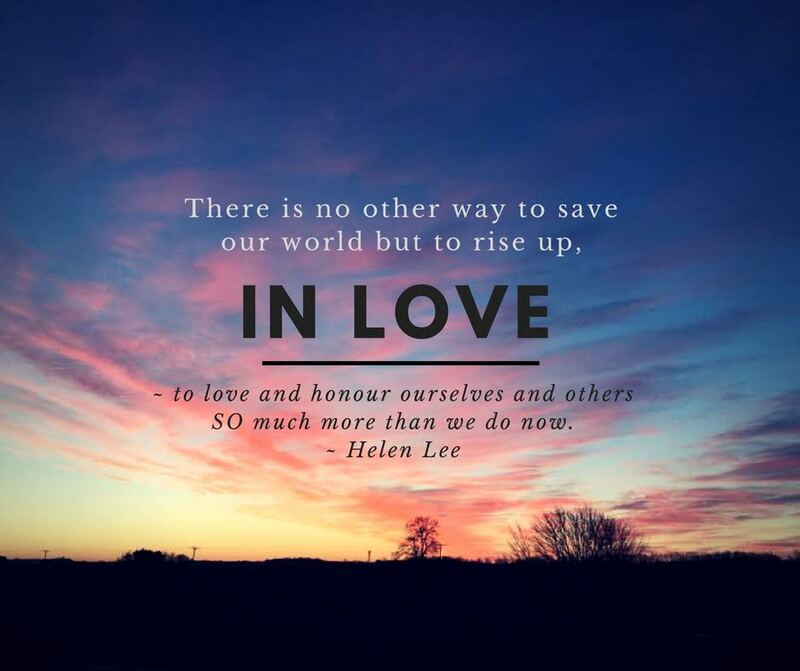 Helen Lee coaches Chairmen, Presidents, CEOs and other C-Suite Executives of multinational companies at $1,000 an hour but in answer to a deep calling to bring her methodology to a much larger number of people all over the world, she has created this new membership program The Journey Home. She is thrilled to be able to support many of you to rise up even further than you have already done, to be the spiritual leaders and Masters you really are, to thrive in your own lives and help transform our world together, each in your own special way. So, for as little as 6 cents a day, you can be part of a Conscious Community she is excited to create and build with you, as she uses her innovative and powerful coaching expertise and skills honed over a quarter of a century, and her soul gifts and talents garnered from eons ago.